Visitors come to New York for fabulous shopping, food and culture and to see the many sites that have a strange sense of the familiar being the set of a thousand films, from the Empire State Building to Grand Central Station. 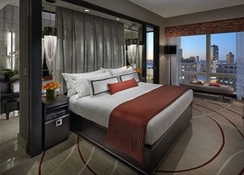 It is invariably impossible to tick off every destination on your personal list but the stunning panoramic views of Manhattan from your room in Mandarin Oriental, New York will give you a superb perspective of the city. 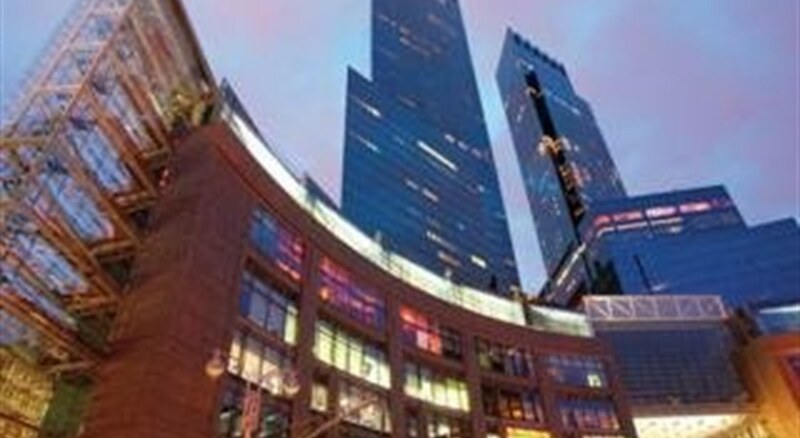 Located on the top of the Time Warner Center at the Southwest tip of Central Park all the main attractions are within easy reach of the hotel. For outdoor pleasures the Park is across the road, with the Zoo and Wollman Memorial Rink for summer roller blading and winter ice skating. Fifth Avenue shopping is a ten minute walk. 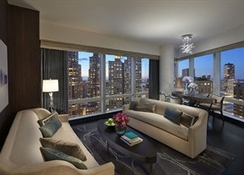 The hotel can book you into world famous music performances at Carnegie Hall, the Lincoln Center or the Metropolitan Opera House, all on their doorstep. Both Broadway, with its 30 or more grand stages and the blinding neon of Times Square are an easy stroll away. The hotel is steeped in the traditional values of oriental heritage and redefines hospitality by taking award-winning service to new heights. It is contemporary in design, yet stylish with oriental flair. 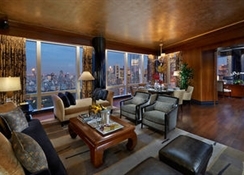 It provides an unparalleled New York guest experience. The hotel offers 248 rooms in total and welcomes guests in a lobby with 24-hour reception and check-out services, a hotel safe, currency exchange facilities, a cloakroom and lift access. Further facilities include a TV lounge, children's playground, a cafï¿½, bar and restaurant. Guests may also make use of the conference facilities, WLAN Internet access, room and laundry services, a car park and garage and a bicycle hire service.